Discover the joys of built-in applications like Nintendo DSi Camera and Nintendo DSi Sound which allow you to play with your favourite photographs and have your personal podcasts and songs at the ready wherever you go. 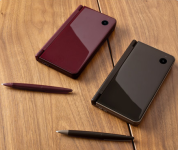 Personalise your system even further by exploring the Nintendo DSi Shop where you can use Nintendo DSi Points to purchase Nintendo DSiWare: an ever-growing selection of games and applications that make the most of the many features your system has in store. 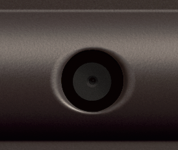 See the world through your Nintendo DSi or Nintendo DSi XL with the system’s two built-in cameras. As well as taking snaps and saving them to the internal memory or an external SD Card, the system enables you to manipulate the images you capture with 11 different photo lenses. Keep your own photo diary and share your favourite snapshots wirelessly with your friends! Please note: The direct photo upload feature to Facebook from the Nintendo DSi Camera application has been discontinued. However, it is still possible to take photos with the Nintendo DSi camera and post them to Facebook by storing the images on an SD card and then uploading them via a computer. Take your music on the move - and play with it! By storing AAC-formatted music or podcasts on SD Cards, it’s easy to keep a collection of your favourite audio tracks close at hand. 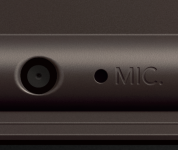 Record and edit sounds through the built-in microphone and discover a new dimension to your music with the fun and easy-to-use features of Nintendo DSi Sound, while the enhanced sound system means your music collection sounds great with or without headphones. As previously announced, the Nintendo DSi Shop, which has been available on the Nintendo DSi and Nintendo DSi XL systems since 2009, will close in 2017. As of Friday 31st March 2017 (22:59 UK time) it is no longer possible to purchase content (or download free software) in the Nintendo DSi Shop. The ability to re-download software will also be removed at a later date. 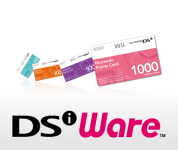 Please note that even after the Nintendo DSi Shop closes, most Nintendo DSiWare will continue to be sold in Nintendo eShop on Nintendo 3DS family systems. For further information, consumers should contact Customer Support.